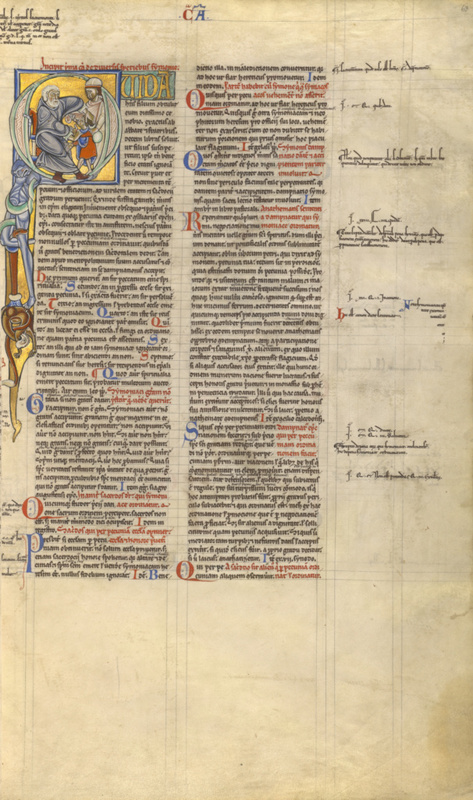 An initial Qopens this section on simony, the improper sale or purchase of holy things, with an example of a case brought before the court: Quidam habens filium obtulit eum (A certain man having a son offers him...). 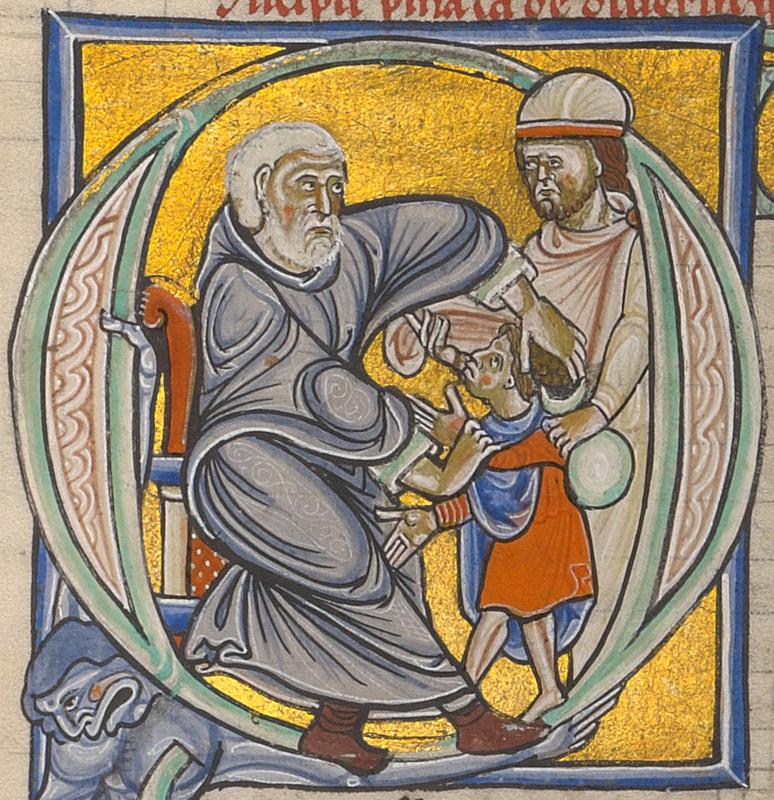 Supported by an Atlas-like creature, the initial Q serves as the stage for an abbot, seated on the left, who takes a young child into the monastery, for which he is paid by the child's father, seen on the right. In the Middle Ages, simony, named after Simon Magus, who was reprimanded by Saint Peter for wanting to buy the power of the Holy Spirit, usually referred to the purchase of appointments to Church offices. The example here concerns a father paying for his son's entry into a monastery when the child was too young to consent. Numerous decrees indicate that simony was a recurring medieval concern. The illuminator's figure style here is typically Romanesque: the abbot's robe is defined in segments that reveal the substance of the body beneath the cloth and emphasize his hip and knee joints. The abbot moves dramatically, displaying his greed through pose and gesture rather than facial expression.